Reunion, the aptly named island! The Mascarene archipelago’s largest island offers an assortment of wild summits, magnificent beaches, captivating cultural values, pristine rainforests and dramatic landscapes on only 2.512 km². In the northern part of the island lies Saint-Denis, the largest and capital city of this French overseas department. Saint-Denis is often called the old-city and it is definitely the best place to witness the daily lives of locals. One can easily get lost with the many things to see like architectural sites, museums and festive events. The city was built little by little in a spectacular setting between the dazzling blue Indian Ocean and the mountain, as a reminder of the abundant nature of the island. Perhaps this impression of being at the edge of the world or the 3070, 50 meters of altitude. In whichever case, it is a magnificent spectacle for nature lovers and trekkers. 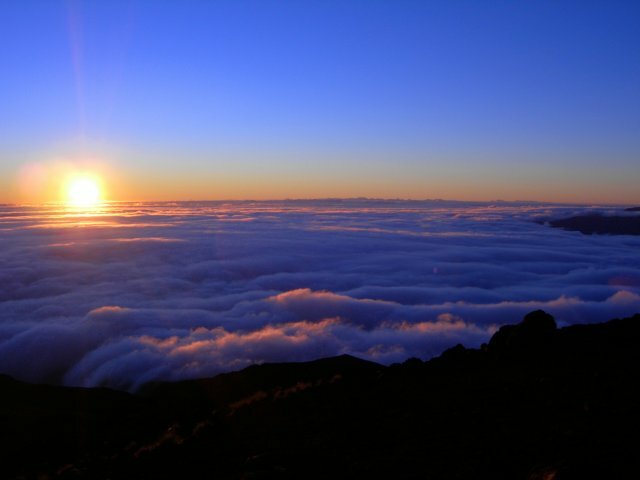 The highest point of the island and the Indian Ocean is to be visited early in the morning before the clouds form. Sometimes on clear days, we can distinguish Mauritius and the marine area that separates the two lands. This magical view of the sea offers itself to you as a well-deserved reward. The panoramic views get even better for the braves who arrive at the summit before sunrise. Piton de La Fournaise needs little introduction, it is the world’s most active volcano over the recent years. It erupts nearly once every year. But can it be visited closely and safely? Yes, Piton de la Fournaise is in fact the most popular attraction of the island. The trail to reach its top is one of the most beautiful and challenging at the same time, especially with the climate changes as we go up. The difficulty goes from easy to moderate depending on the trail length you chose. It is highly recommended to book a guide if you are looking to climb to the top. Take snacks, water, sunscreen and good sneakers. It is better to avoid rainy conditions, so be sure to check the weather. The trail is marked by ONF and the most beautiful in all this is that there is no entrance fee! The 3 calderas of Reunion Island are Cilaos, Mafate and Salazie. These volcanic formation take the shape of a three-leafed clover at the heart of the island, right at the foot of Le Piton des Neiges. This zone where the calderas are located cover up 40% of the island’s total area, and the entire site is protected. Although it is accessible by the road, most visitors chose to hike the lush vegetation of Salazie. 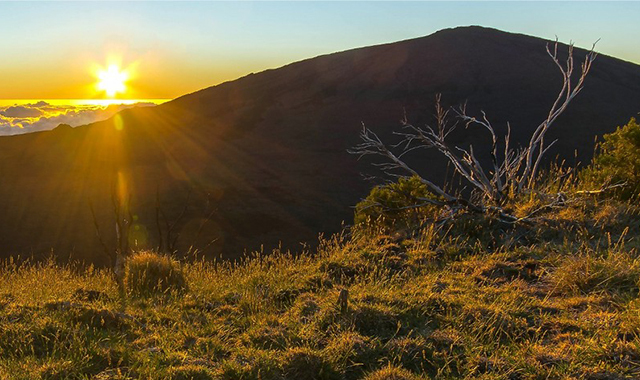 The caldera is the place to be to enjoy the natural treasures of Reunion Island. One of the most famous is Voile de La Mariée (Veil of the bride), a waterfall with several sources and it has a quite mythical meaning for locals. Do not miss the small creole houses of the small village of Hell-Bourg, where the hike begins. Cilaos represents best the reputation of Intense Island of Reunion. The caldera is also home to a small village of the same name, Cilaos. Nosy, a village perched at more than 1200 meters above sea level! With its many; Peaks, chasms, rivers and other volcanic walls, Cilaos is the ideal place for extreme sports. While some come only to enjoy the view and to buy lentils and the traditionally-produced rum, other adventurers such as mountain bikers take delight in discovering world-class itineraries. Mafate is known to be the wildest of the 3 calderas of Reunion Island. It is just as abundant in nature and natural attraction as its 2 neighbours, but Mafate has its own uniqueness, it is completely cut off from the rest of the world. There’s no road to get there and there is all the beauty of this caldera, complete tranquillity in nature. It is a paradise of a hike for nature lovers with its 200 kilometres of trail. Mafate also houses a small village of 700 people at its top. Most of the food and other necessities arrive by helicopter. However, for hikers, the caldera is accessible from the town of Saint-Paul, where it takes at least four hours of walk to reach its mysterious summit. 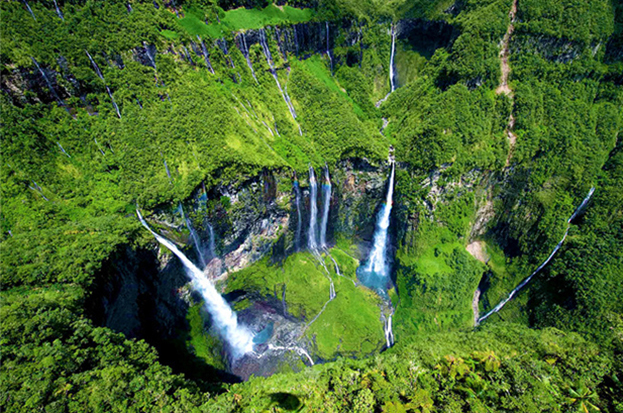 Geologically speaking, the Trou de Fer is perhaps the most beautiful place of Reunion Island. This canyon is more than 800 meters deep in which one can see water falling from all sides. There are some majestic waterfalls and some are almost the height of the Eiffel Tower. It is to be discovered by helicopter ride, but if you love adrenaline rushes, you can explore the place canyoning, where height takes its full dimension. This activity is perhaps the most thrilling one to try in Reunion Island and the Indian Ocean. 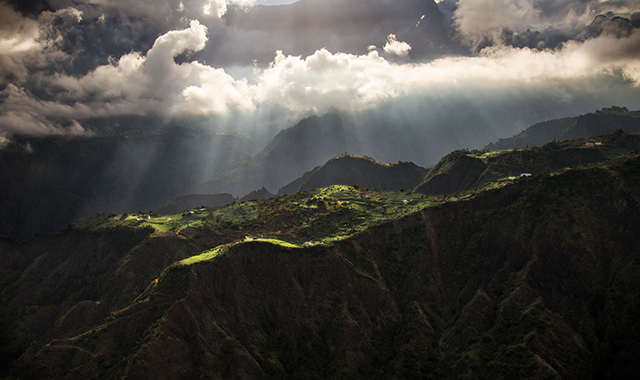 If you love nature, you must explore the heights of Reunion Island. It’s not just about the views, here everything seems to love altitude.